Countdown timer to create urgency for your deals. Drive customers' actions and urge them to buy before time runs out. Stock countdown to display the limited availability of your products. Create scarcity, increase the perceived value of your products and make your customers buy faster. 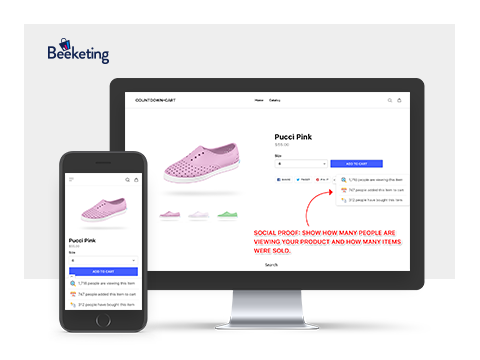 Social proof to let customers know how many people are viewing your product and how many items were sold, thus strengthen their buying confidence. Build trust and increase sales. 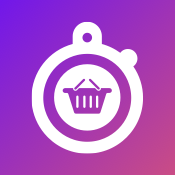 Built to help eCommerce online stores reduce cart & browse abandonment and increase the checkout rate, Countdown Cart persuades your customers that the time to buy is NOW before it’s too late, by creating a strong sense of urgency, scarcity and social proof on your online store. Countdown Cart app is totally free for all eCommerce merchants. You will have unlimited access to all features and future updates, together with our 24/7 customer support service. Countdown timer: if you are running a time-limited promotion, this feature displays a countdown timer under the product description to create a sense of urgency that the promotion is about to end soon and that customers should buy right away before time runs out. Social proof: this feature shows, in real time, the number of visitors who have viewed your products and the number of items sold. It creates a positive influence on customers that your products are highly popular and selling out quickly, builds trust on your brand and strengthens their confidence to buy. Stock countdown: if you want to create a sense of scarcity for your products, this feature helps show a limited number of items left in stock for any product on your store. When customers see that only a few items are left, they are more encouraged to make spontaneous purchase. Beeketing pioneered marketing automation in full service for eCommerce sellers. With a focus on increasing conversion rates and sales for eCommerce stores, we provide a complete package of tools and solutions that automate the marketing and sales strategies: email marketing, up-selling & cross-selling, promotion campaigns management, product recommendation....and many more. Find all Beeketing apps here. Using Beeketing apps, you allow Beeketing to get access to your store data for analysis of product recommendation and cart items. For questions use this phone number +1 (650) 666-0985 or send an email to [email protected].